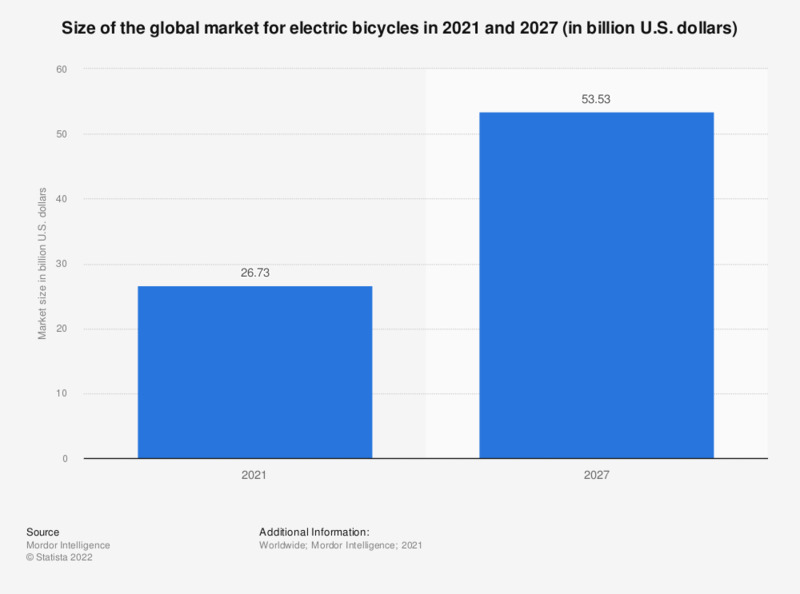 This statistic represents the size of the global market for electric bicycles in 2016 and 2025. The market is expected to reach about 24.3 billion U.S. dollars by 2025. The entire U.S. bike market was sized at around six billion U.S. dollars in 2015. Statistics on "Bicycle industry in the U.S."
What kind of bicycle will you most likely purchase? From which of these shops and dealers would you consider purchasing your e-bike? How much will you spend at max on your new bicycle? How much do you agree with the statement that the shared bicycle system you use the most offers good condition of the bicycles? What kind of bicycle do you use most? What kind of bicycle do you have in your household?